In the last few years there has been a small explosion in Sonic Style guides hitting the internet, if you don’t know what a style guide is, give this article a read. Sometimes we get lucky and a full guide lands in our laps, but this is a very rare event, however we do sometimes get the odd one or two scans of style guides which give us an insight into not only how Sega see’s Sonic and would like retailers, manufacturers and designers to see Sonic, but also how they see us as fans. Coming this December in selective galleries in the UK, a Sonic fine art exhibition is to open it’s doors across art galleries owned and operated by Washington Green. The exhibit will feature paintings, mixed media and sculpture and will be completely original works of art. A number of select pieces will be reproduced in limited numbers, each will come with a certificate of authenticity hand signed by Sonic the Hedgehog creator, Naoto Oshima! A VIP launch will be take place on the 1st of December 2016, with a public showing the following day. Details as to the full venues and range are yet to be published. 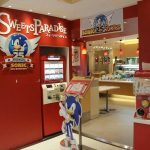 To help celebrate Sonic’s 25th Anniversary, from October 1st until November 13th, there will be a special Sonic themed cafe open at the Suites Paradise Ueno ABAB shop on Japan. 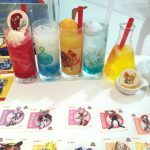 A specially designed Sonic themed menu has been created, including Sonic themed drinks, all meals purchased will come with a special gift (coasters and stickers). Some of the drinks even come in special containers, the Tails themed drink for instance comes in a science beaker. Some more pictures are available in our gallery and lots more are in the topic on SSMB. A couple of bits and pieces regarding tonight’s show here! First up, EuroDNS has hinted that there will indeed be a game revealed at tonight’s 25th anniversary party! 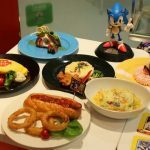 Sonic 25th Anniversary Joypolis Party To Be Live-streamed! 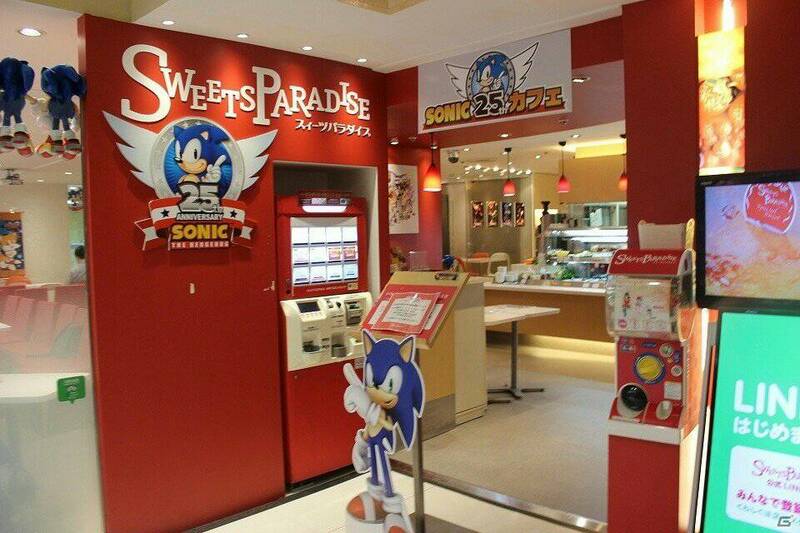 Can’t make it to Joypolis for their Sonic 25th Anniversary party? Well don’t worry because Sega has you covered! Sega has announced that it will be livestreaming the event on youtube and other media services. 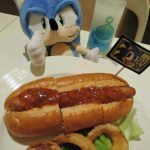 This is the first time that Sega has chosen to livestream their Joypolis Sonic event, so hopefully there will be some exciting announcements. 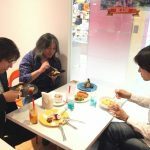 Yuji Naka & Takashi Iizuka To Attend SXSW 2016! Yesterday we brought you news that there would be a number of Sonic themed events this year including a history of Sonic panel at SXSW 2016. Well, you might want to seriously consider heading along to that because the details as to who is going to be on the panel have just been announced and what a lineup! Yes you read that right! Yuji Naka & Takashi Iizuka will be on the panel alongside two of the main voice actors! Join us as we celebrate the past and look to the future! Planing on going to this? Let us know in the comments! New Sonic Podcast & E-tail Store Coming Soon? Continuing with the Toy Fair news comes a tiny bit of information about a previously unannounced thing. According to a sign at Tomy’s booth at the New York Toy Fair, there is a new Sonic Podcast in the words to be broadcast via Podcast One. But even more interesting is that it looks like Sega/Tomy might be launching a new Sonic themed online store. 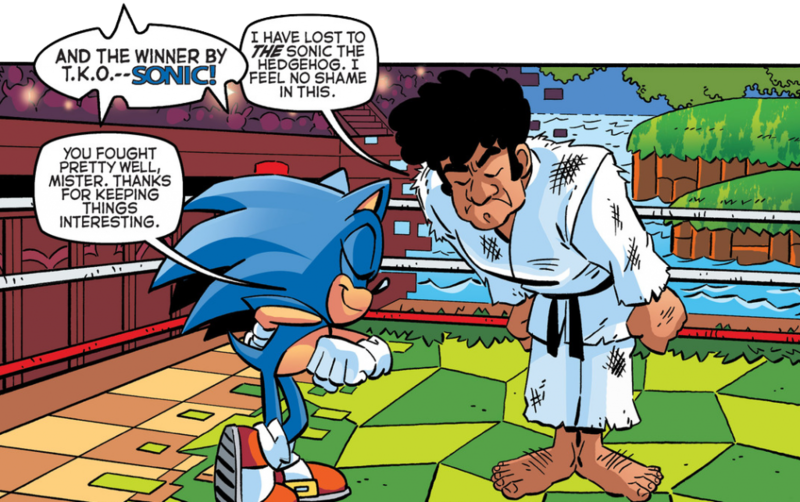 This is strange because Sega did launch Sonic Merchandise several years ago which is still trading at this time. No other details were given, but we’ll keep you upto date as and when more information comes in. 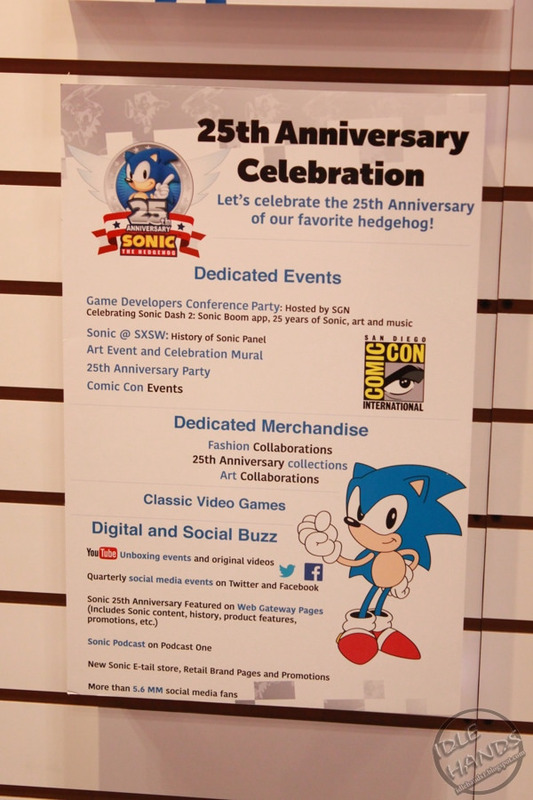 Sonic 25th Anniversary Party & Other Events Listed & Dated! You may recall how we brought you the news that Sonic’s 25th Anniversary would bring special events throughout the year. Well… we can now bring you details of those events including dates for some of them. Games Developers Conference – celebrating Sonic Dash 2, 25 years of Sonic, art and music. 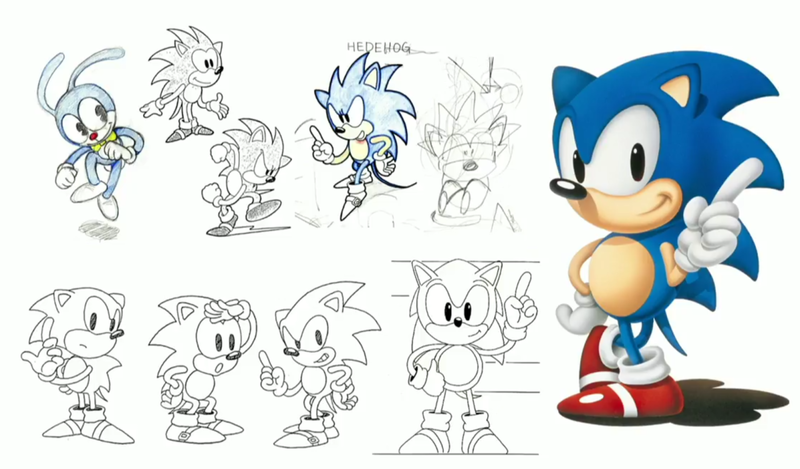 Sonic @ SXSW – History of Sonic Panel. Art Event & Celebration Mural. YouTube Unboxing Events & Original Videos. GDC is March 14-18th, SXSW is March 11-20th and Comic Con is July 21st. The rest, anyone’s guess, but one of the interesting things is the Unboxing Events, have they just accidentally confirmed a collectors edition of a game with that one? I for one am quite interested in the 25th Anniversary Party.